courses, i.e., MBA and MCA. The college has a spacious building housing a library with a collection of twelve thousand books and journals and two laboratories with 50 computers and with other sophisticated equipment. 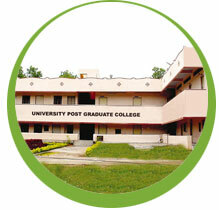 The entire college is covered by the campus network with round the clock INTERNET facility.